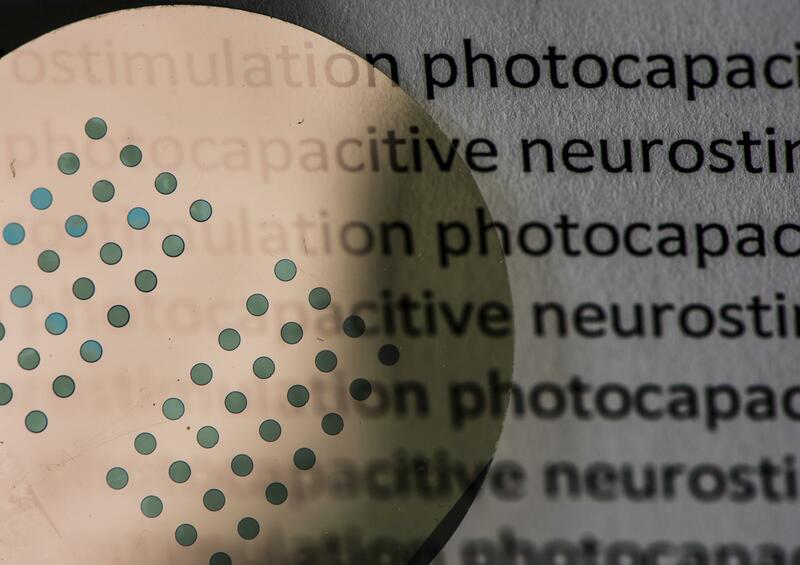 Researchers led by Eric Glowacki, principal investigator of the organic nanocrystals subgroup in the Laboratory of Organic Electronics, Linköping University, have developed a tiny, simple photoactive film that converts light impulses into electrical signals. These signals in turn stimulate neurons (nerve cells). The research group has chosen to focus on a particularly pressing application, artificial retinas that may in the future restore sight to blind people. The Swedish team, specializing in nanomaterials and electronic devices, worked together with researchers in Israel, Italy and Austria to optimise the technology. Experiments in vision restoration were carried out by the group of Yael Hanein at Tel Aviv University in Israel. Yael Hanein's group is a world-leader in the interface between electronics and the nervous system. The retina consists of several thin layers of cells. Light-sensitive neurons in the back of the eye convert incident light to electric signals, while other cells process the nerve impulses and transmit them onwards along the optic nerve to an area of the brain known as the "visual cortex". An artificial retina may be surgically implanted into the eye if a person's sight has been lost as a consequence of the light-sensitive cells becoming degraded, thus failing to convert light into electric pulses. "We have optimised the photoactive film for near-infrared light, since biological tissues, such as bone, blood and skin, are most transparent at these wavelengths. This raises the possibility of other applications in humans in the future," says Eric Glowacki.